I have thought of a holiday abroad for some time, business trips just don’t qualify as vacation even if you stay for a weekend in the city you are visiting. 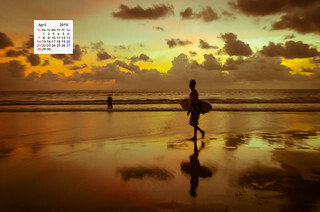 With the passage of time I got into job and started travelling to various places in Europe, SE Asia, USA, but never had the good fortune of going to Australia. Hence a keen latent wish to visit the magical land of Oz or down under as some people will call it. Always I have wondered why people do not fall there if it is upside down, as I am still not sure how gravity works. 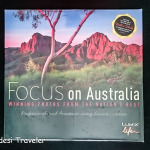 Recently Paul aka One Dusty Camel a well-traveled blogger from down under gifted me a beautiful book about Australia, that made me long to visit this beautiful country that we know so little about. So I decided to do some research on Melbourne the first city that comes to a desi mind when thinking about Australia and found very interesting things about Melbourne. It is not just a city it is an ecosystem where you can find something for everybody in your family. For a family it is very important to plan your vacations to places that not only have something for everybody in family but also are safe for visitors. I found the city to be very tourist friendly and welcoming to its visitors. A lot of information is available on the Visit Melbourne website. 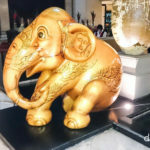 I also called a friend who has worked there for a few years to find some more details and it and he mentioned that it is one of the best places in Australia to visit for a family vacation. And while I am shivering as I type this I decided to check this video about the awesome food scene in which very serious anchors Tanmay and Rohan meet George of the Gazi fame. It was good to listen to him talk about the multi-cultural, multi-religious diverse population of Melbourne. I have always been a fan of George Calombaris and would love to visit his restaurant and try some of the awesome dishes he is internationally world-famous in whole universe. There are various cafes serving delicious world cuisine from every corner of round earth. These cafes give the city a very modern, young feeling and are a hub of activities ranging from debates among young artists to performances by struggling bands. The city is a hub of activity and only a short ride away from anything you may want, it has beautiful beaches of which some like Phillip Island (around 2 hours from main city) are home to penguins, yes penguins, so you don’t have to go to the extremes of South Pole to see them. But the best part about Melbourne is that it is not just a city for tourists, it is a great place to live and accepts people from diverse background in its arms. 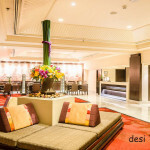 Fellow travel blogger Arti of My Yatra Diary fame, won a contest to visit Melbourne some time back wrote excellent posts about Melbourne and her account of the visit to the ISKCON Temple Melbourne that kind of showcased what a wonderful city Melbourne is. After all you can be a world city only if you play host to the world! My Melbourne knowledge got a big boost after reading Arti’s posts about Melbourne and ever since I have wanted to go there. Then came this contest from Indiblogger about Melbourne visit once again, I had no reason to not take part in the same. As travel is all about experiencing and learning I was wondering what to bring back from Melbourne. 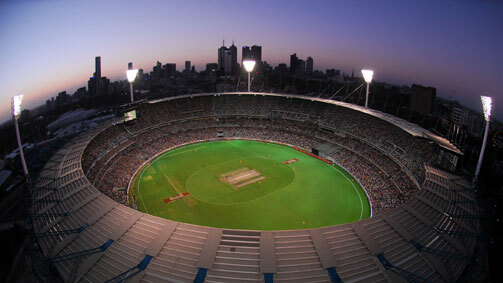 IF I do win this contest, one of the long cherished dream of visiting the most haloed cricket ground this side of Suez the Melbourne Cricket Ground is very high on my wish list. 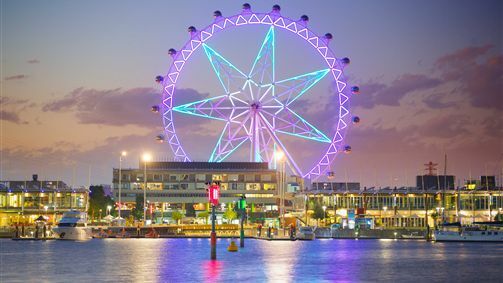 But the travel also brings the little boy in me back in action and here is the giant Ferris wheel that I hope to hop on during my visit to Melbourne, yes I know it is known as MELBOURNE STAR OBSERVATION WHEEL, but it is more fun to call it a Ferris Wheel. Off course the nature lover in me is too keen to see the Zebras and other animals there. 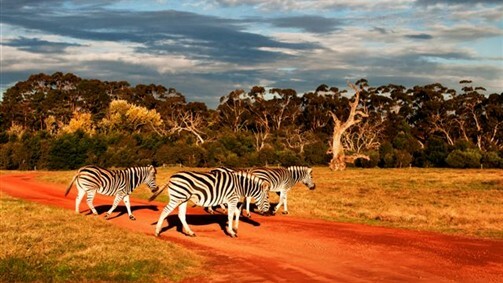 Zebras in Australia ? Yes I am not making it up, the Werribee Open Range Zoo where animals roam free enjoying freedom and security is something I am looking forward to hone my photography skills. There are many other things I want to go and explore in Melbourne, but I don’t want to write everything here and then nothing will be left to write a blog post on when I visit there. So dear reader wish me luck that I win this contest to Visit Melbourne so that once I share more about the same as a first hand experience..
A City is not just a bunch of buildings, some malls, roads and some people living in a geographical area, a city is cradle of Human civilization and collective consciousness. Melbourne meets all the criteria of a great world city that welcomes both visitors as well as nurtures its residents who have made this wonderful place their home. Oh Melbourne when do I get to see you ? Do like this post so that you get the update with photos automatically once I am back from magical Melbourne. But the best part is yet to come, tell me “Which of these places would you want to visit in Melbourne and why?”. And the best answer will get a Rs 500 Gift Voucher, but hurry as answers given by 4th January 2015 are eligible. Yes you read it right the best answer gets Rs 500 gift voucher 🙂 🙂 Unfortunately I am not eligible to comment on my blog but you are 🙂 . This post is my entry for Indiblogger contest for Visit Melbourne Contest organized by the Tourism Victoria. I love the disclaimer under one of the pictures. May it comes true. 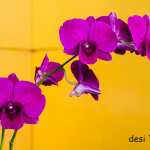 Beautiful narration, good luck Prasad. Aha! This is one of those few posts where the ‘Star observation wheel’ gets a mention… and I love the idea of watching the city down below and will love to take unhurried shots from that heavenly angle! What matters though is what it is that I would click… it is simple. My primary interest is in art. I mean, I would love to be perched high up trying to click the way the the heritage and contemporary architectures in the city converse. I just might want to take the elevator and go up to the Skydeck to see how the specks called the public art by the river Yarra attract tourists… I’ll know which of them has the most people thronging around! Right? So the next will be a Segway ride by the river Yarra… to leave me less tired and also take me furthest… observing the public art there and clicking pictures. Well, some wild pictures as well. This isn’t all. I will love to take rides on different types of tramcars there… or street cars as the locals call them… and visit the art galleries spread all over. What about graffiti? — you might ask. Sure, you don’t think I’ll miss that, will you? I am glad you noticed 🙂 I too am fan of street art and graffiti, they show a part of city that normally goes unnoticed. Honored, humbled and thrilled to see a mention of my little diary! Thank you so much, Prasad 🙂 I can’t wait to see Melbourne through your eyes – you are one of those very few people I know who with your photography can actually pale even these official pictures. Here’s to all your dreams and joys this year – may this year bring the very best for you! 🙂 All the best!! Great post! After reading your post & watching all the videos, I would definitely want to visit all those amazing places when I get to visit Melbourne 🙂 But of all, my top pick would be a visit to Yarra valley for a beautiful sunrise balloon flight. After seeing the video, I can’t stop myself from dreaming a romantic magical flight above the scenic vineyards and watching the sunrise from up above! Throw in my favorite wine, I will doubly enjoy the ride sipping my glass and taking sensational selfies all the way 🙂 Now I can’t think of a better way of spending a vacation!! tour, the nest time. Will be a memorable experience to watch the rivalry unfold right in front of my eyes, sitting right in the middle of MCG. My bets wishes for the contest!